Medium tank – 300 conversions. Being in a state of war quite often since its creation in 1947 the state of Israel managed to use and optimize every asset it had. Captured T-54/55 from the 1967 and 1973 wars, for example, were reconditioned and transformed into new MBTs armed with 105 mm guns (Tiran-5/6/7) and later converted as heavy APCs. WW2 surplus M4 Shermans were reconditioned in the 1950s with high-velocity guns and became the M50 and M51. More recent tanks in the inventory like the M48 and M60 Patton did not escape this rule and were considerably transformed in a lineage which is called “Magach”, culminating with the Magach-7 and the Sabra. 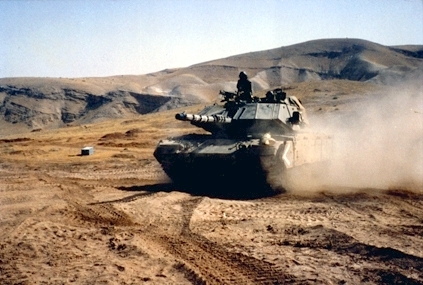 Magach 7C in maneuvers, 1990. The Magach range of modifications started right after the 1967 war and was intended to gradually improve the M48 and later the M60. These were minor changes at first, but gradually in the late 1970s and 1980s, IDF tries various armor packages and armament for urban warfare, especially with the experience of the Lebanon war. Mobility was improved with better engines and transmissions, better optics, new cupolas, local FCS, improved local laser rangefinders, communication sets, and eventually tracks, mantlet, thermal sleeves, suspensions, etc. The name itself, “Magach” is used but not really officialized and its origin is quite mysterious. It could be either “Rammin Hit”, “Chariot of War heroes” contraction, M48A3 in gematria or in other forms, “electric shaving machine” “sloping belly” or even “Movil Gviyot Charukhot” (charred bodies carrier) in reference to the 1973 losses due to flammable M48 hydraulic fluid. 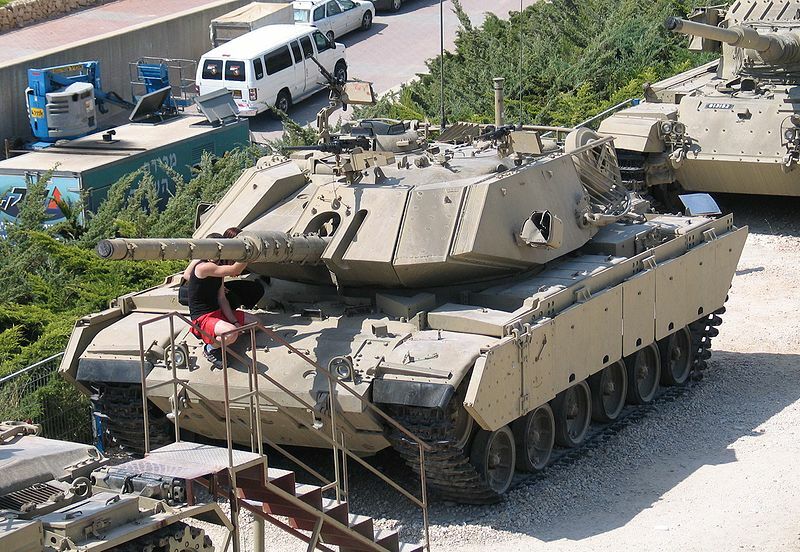 M60A1/Magach-6 Blazer ERA at Latrun Museum near Tel Aviv. 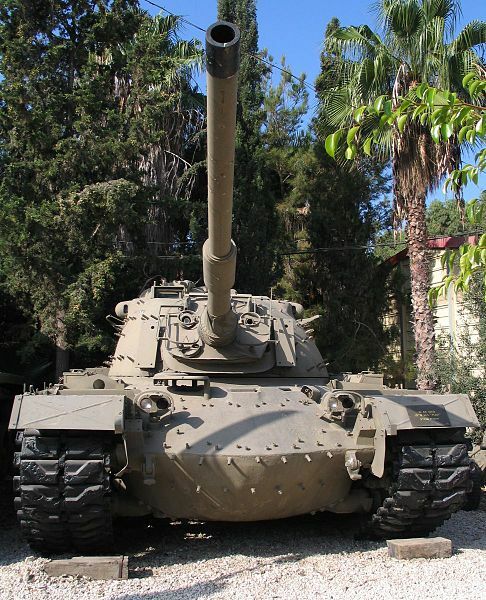 Israel received some 150 M48A1 prior to the war of 1967, sold by West Germany and later the United States between the mid-1960s and 1970s. Only 120 M48 tanks out of 250 M48 participated in the war, the others were still not in full battle readiness. To these ones were added those captured in the hands of the Jordanian army (almost 100 M48/M48A1, almost intact for some). This “park” was left untouched but was called Magach-1 anyway. 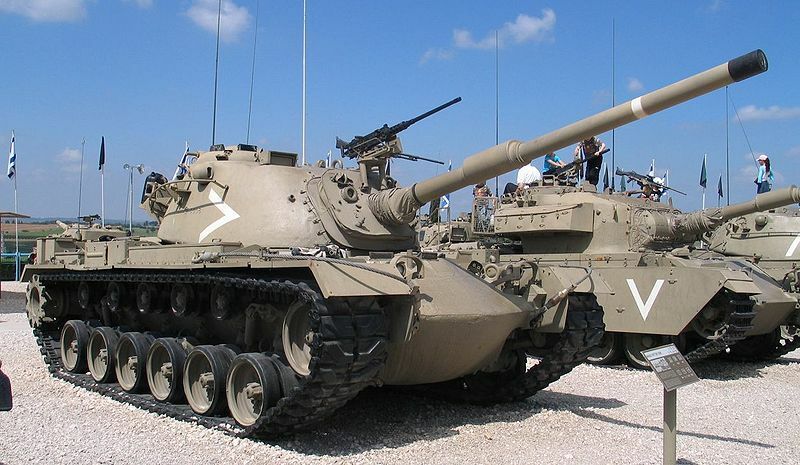 Israeli M48 Pattons were also officially denominated E48. The name was given to the M48A2C. This was also officially known as the E48 (M48 Pattons of all variants). This was the German-delivered designation for the M48A2. This was apparently only a denomination, the tanks were left unmodified as it seems. This version was the first range of modifications bring to the M48/A1/A2C and A3 series, being ported to the M48A4 standard but with added modifications during the war of attrition and prior to the 1973 war. These modifications included the fitting of a British 105 mm L7 cannon, a low profile “Urdan” commander’s cupola, a new upgraded communication set and a brand new Continental AVDS-1790-2A 750 hp diesel engine coupled with an Allison CD-850-6 transmission. 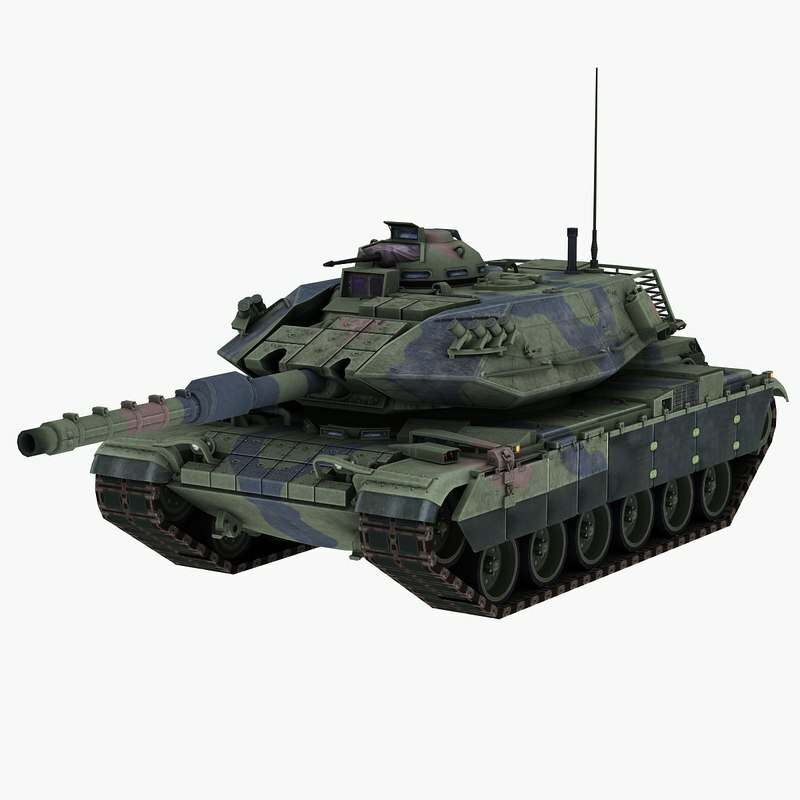 In the early 1980s, they also received provision fittings for Blazer ERA (Explosive Reactive Armour). M48A4s were already fitted with the 105 mm and new engine but received the Urdan cupola and new local upgraded communication suite. This was the M48A5 denomination, similar to the Magach 3 standard, but with an AVDS-1790-2D engine and CD-850-6A transmission. The Magach-4s were also fitted with Blazer ERA in the 1980s. 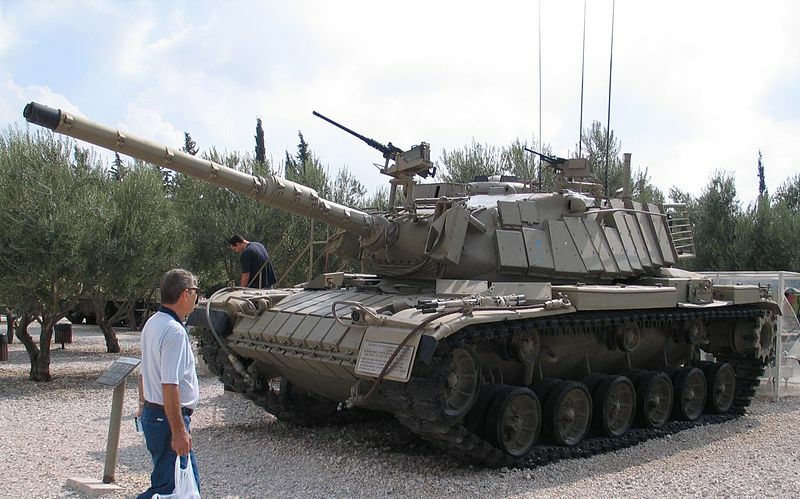 Also called 6 Alef, modernized M60A1 and later upgraded to the Magach 6B level. Or 6 Bet, M60A1 with RISE (Reliability Improved Selected Equipment) modifications including the AVDS-1790-2C engine and new tracks. Or 6 Bet Gal, fitted with the locally-built Gal fire control system. 6B Gal fitted with a 4th generation passive armor plus an upgraded 908 hp engine to cope with the added weight. The turret was completely modified with angled sides and angled mantlet. Also called non-officially 7D/Magach 8. Concerned only a few vehicles. Or 6 Bet Baz, fitted with the Baz fire control system; Only a few were so converted. Or Magach 6 Gimel, modernized M60A3. Or 6 Resh for earlier M60s refitted with the upgraded AVDS-1790-2AG level engine and a more powerful electric generator. Or 6 Resh*, same as the former modernized M48 but with fittings for the Nachal Oz fire control system (not mounted). Or 6 Mem, same as the above but in effect, fitted with the Nachal Oz fire control system. The last of the series was largely based on the Magach 6B Gal Batash. 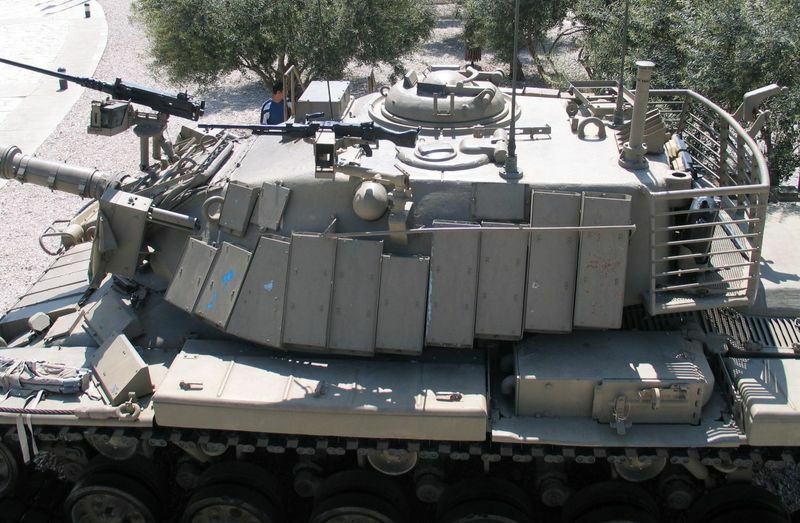 Contrary to others fitted with Blazer ERA, the Israeli decided to embark on a radical armor upgrade, largely made on add-on armor in passive layers, into a brand new shape for the hull and turret. This package is so characteristic that the M60 is barely recognizable under it. For modularity, the large blocks of the turret could be dismounted and replaced quite quickly despite their weight but are of course less handy than smaller ERA blocks. The “layered” nature of these slabs side protection proved very effective. Composition inside is, of course, confidential, and remains so, despite the Magach are now all retired and replaced by the Merkava. Side skirts were also new: The first two sections are covered with ballistic material and hinged for easy access but the rear skirts are made of steel and all fitted to heavy-duty springs. In standard, the Magach-7 was armed with the British-licence built (L7) M68 105 mm rifled gun fitted with a locally built thermal sleeve (Depression – 10, elevation + 20 degrees). This armament is served by an Israeli fire control system coupled with a laser rangefinder. Secondary armament comprised a front atop the mantlet mounted cal.50 (12.7 mm) heavy machine gun for training and urban combat and three pintle mounts for 7.62 mm standard NATO FN-MAGs or M60s (commander, loader, one extra). The 105 mm is capable to fire all standard NATO ammunitions also shared by most European and US models at that time, namely APFSDS, HEAT, HESH, HE, APERS, and canister rounds. The Magach 7 kept the Continental AVDS 1790-5A diesel capable of 908hp coupled with a CD-850-6A transmission. Performances, despite 55 tons (0.83kg/cm² ground pressure), were as follows: Top speed 60 kph, endurance 500 km, gradient climbing 60%, side slope, negotiating 30%, vertical step 0.9 m, crossing trench 2.6 m and fording 1.2 m without preparation. 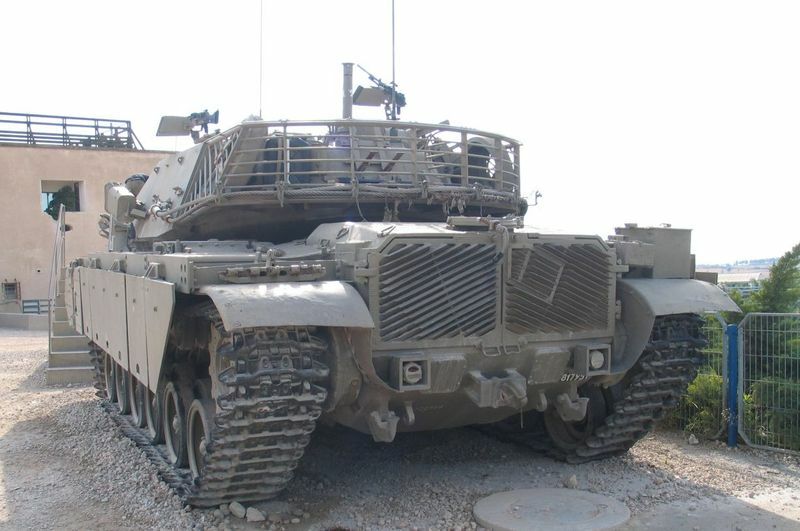 It should be said also that the tracks are shared with the Merkava Mark.1, and the torsion bars suspensions are improved (high strength torsion), with shock absorbers added on the 1st, 2nd and 6th roadwheels plus hydraulic bumpers on the 1st, 5th and 6th suspension units. The torsion bars’ traveling distance was augmented from 180 mm to 200 mm. Magach-7s are now left in the reserve and the surplus ones could be reactivated in case of a mobilization. The Magach 7 Alef had a fixed flat mantlet with gun slots and bulky armor. The 7 Bet was an interim solution using an armor configuration similar to the Magach 7C, but largely experimental. For “7 Gimel”, this final version had a fixed angled mantlet, redesigned wedge-shaped passive armor and gun slots. Magach 7A. 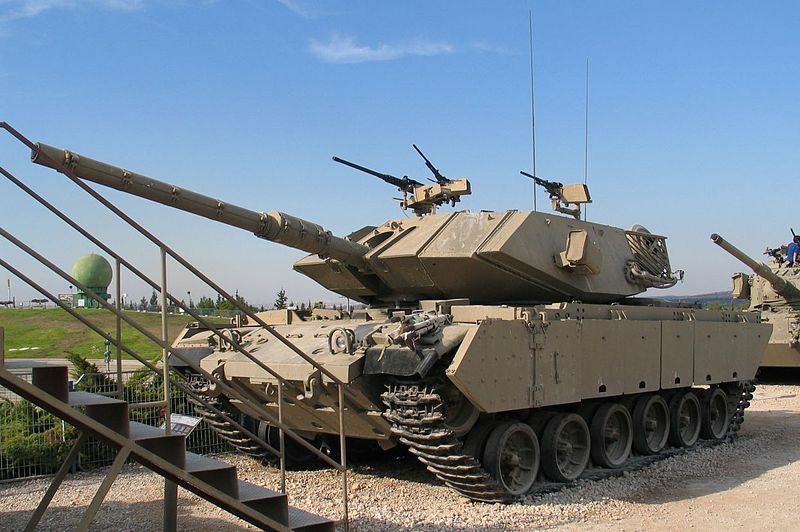 Notice the bulky-shaped turret fitted with passive ballistics materials of different composition on the front and sides. Magach-1s (M48/A1) were the only ones to participate in the war of 1967. 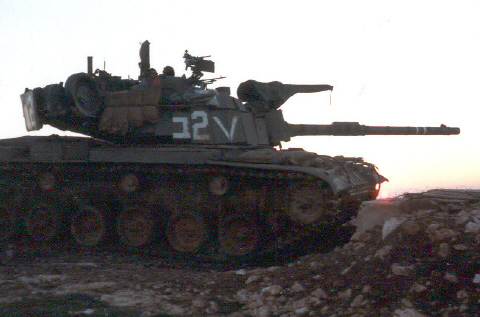 These and the Magach-2/3 participated in the War of Attrition (1968-1971) and Yom Kippur war (1973). 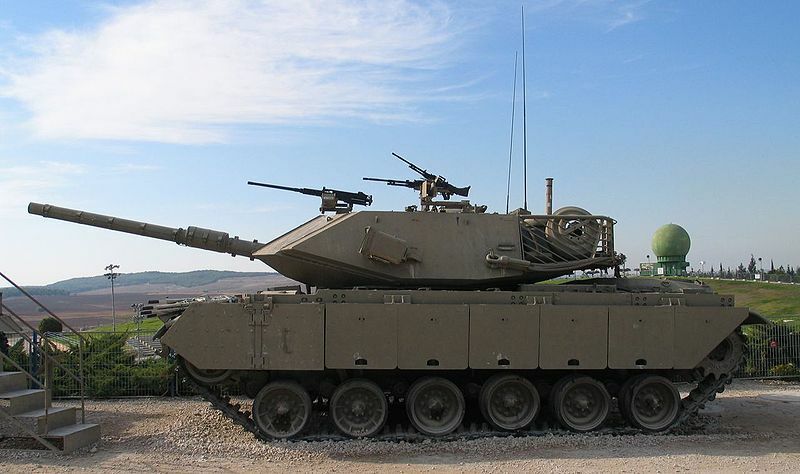 At the eve of the latter, IDF entered in operations with 540 upgraded M48A3 and M60A1 tanks. It was discovered that the flammable hydraulic fluid at the front of the turret was a sever conception flow which costed many losses. Others were caused simply by AT-3 Sagger hits. After the war, only 200 of these were still serviceable. Until the end of the 1970s these losses where compensated by older models being overhauled, the M48A5 (Magach 5 Golan) and M60 (Magach 6) all equipped gradually with fittings for ERA blocks. Israel was the first nation to use these operationally later in Lebanon starting in 1981. Later on, with the experience of urban warfare, merkava-based tracks, new fire controls, gun thermal sleeve and smoke dischargers ansd finally new passive armour sets for the turrets and side skirts contributed to create the Magach-7 in 1984-85. The latter proved excellent. A good example of how the slab-sides which protect the turret were effective was shown when salvos (20 in all) of AT-3 Saggers were fired on a Magach 7A by the Hezbollah. The only two which managed to penetrate get through the roof which wasn’t covered by applique armor. The Nachel Oz fire detection system did its job and at least one of the crew survived. 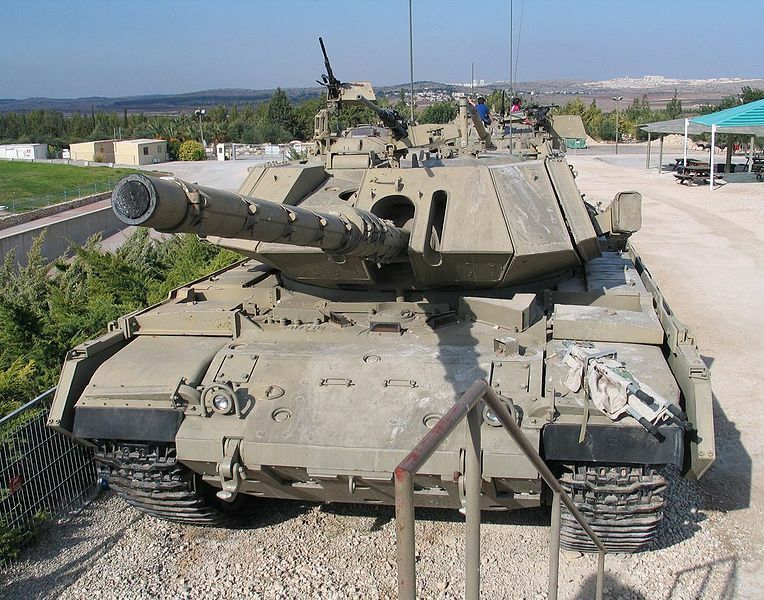 Until the 1990s, Magach-7A were replaced by 7Cs, which had even more common parts shared with the Merkava. 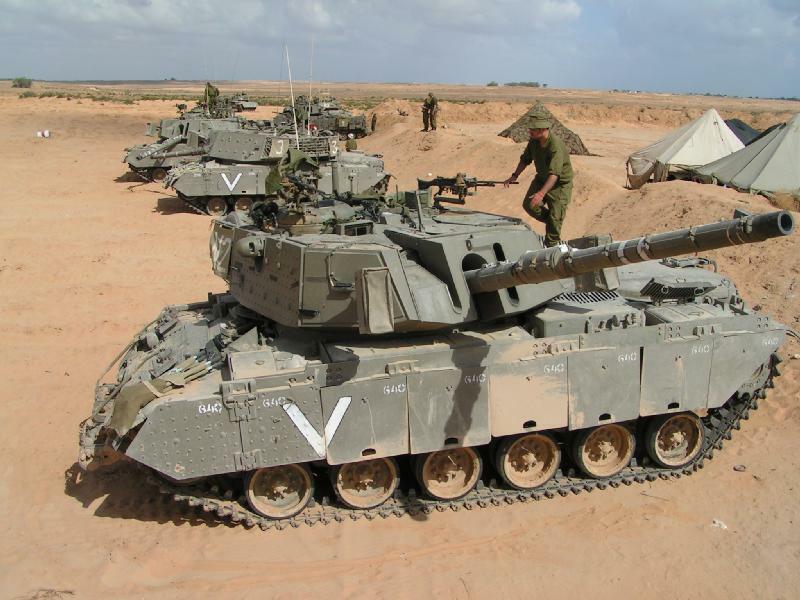 When the Merkava-IV entered service however, the latter were given to reserve and gradually replaced while older Magachs were deactivated and recycled or in storage. M60 Blazer ERA (Magach-6) on which the Magach-7 was based. Magach-7A characterized by its bulky, boxy front armour. Magach-7C in beige livery on the southern borders with the Sinai. Magach-7C in the olive livery of the northern border with Lebanon and Syria. Some were in action in Gaza from 2008 to 2011. 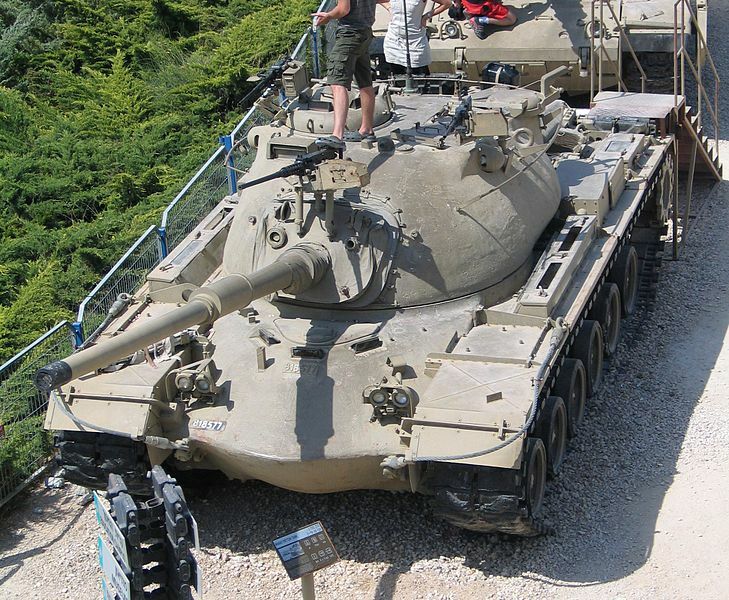 When IDF designed the Magach 7 they needed a smaller turret to fit the new layer of armor better so they ‘downgraded’ the turret to the smaller M48 one (while keeping the M60 hull). Do you have any sources for that? I have seen no mentions of such a thing. Are you sure it wasn’t just due to the extra equipment inside? Well that’s true, I didn’t see any mentions of that either but I clearly remember what the tank instructors told us back then and I have experienced both turrets from inside myself and it was very noticeable. The equipment’s size is more or less same, computer few inches bigger maybe 1-2 more control panels but that’s it, I remember the shock I had when I got inside the 6b turret thinking ‘gosh how much room they have’. I called a friend to clear this issue. The Magach 6 was based on the M60A1. The Magach 7 designers wanted a smaller turret to fit the new armor so they used the little older M60 turret (not A1) which indeed was same size as the M48 turret. Aha, that makes sense, it was the original M60 turret. Thanks for the info! Great site you have here, good job! Thank you Doron, but it’s not mine. Big time behind all the new articles! There was also 1 last model of Magach that was called Sabra M60T. 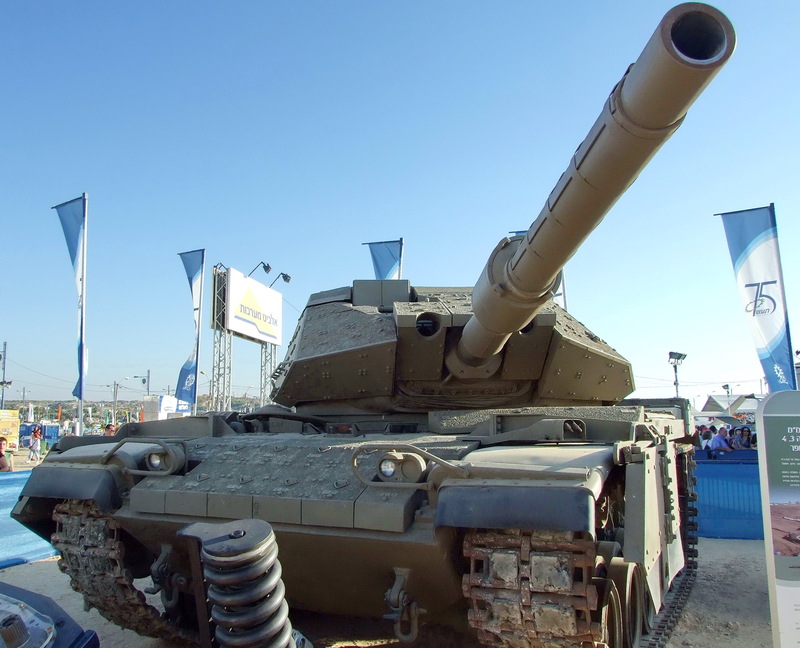 IDF didn’t use it, It was only exported and tailored to the Turkish army in the 2000s. It had many upgrades compared the the 7C (like the canon, all-electric system, engine and more). The Turkish just recently used it in Syria vs. ISIS. We know of it. It presented itself quite poorly against ISIS due to bad deployment. We do plan on covering the Sabra sooner or later.